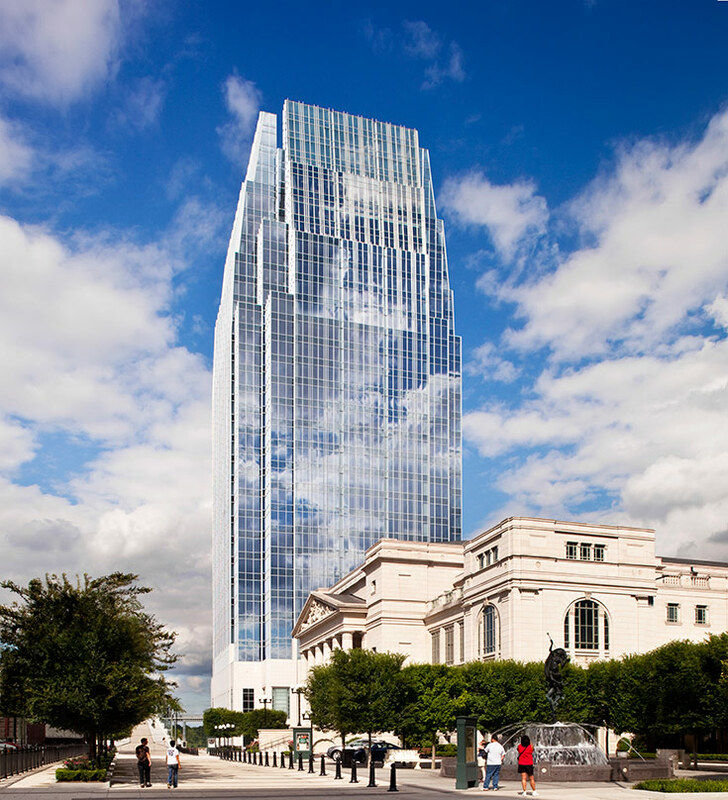 The Pinnacle at Symphony Place anchors Nashville’s Broadway District with a new landmark, designed to contribute excitement to Nashville’s nightlife through two floors of shopping and restaurants at ground level and an illuminated crown. 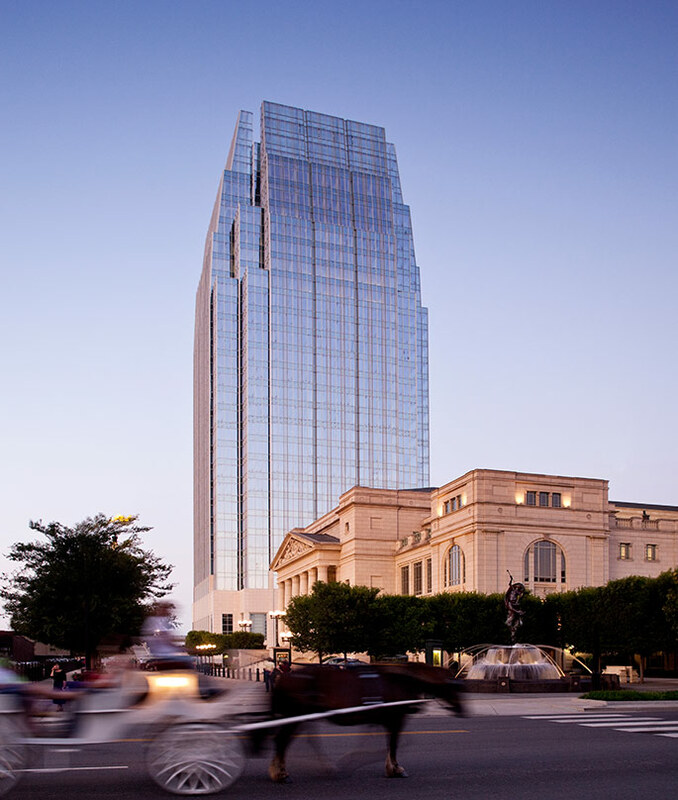 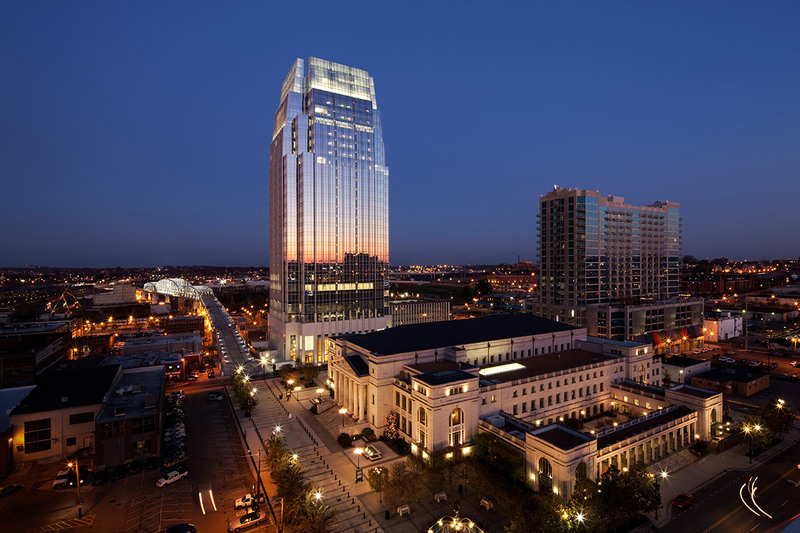 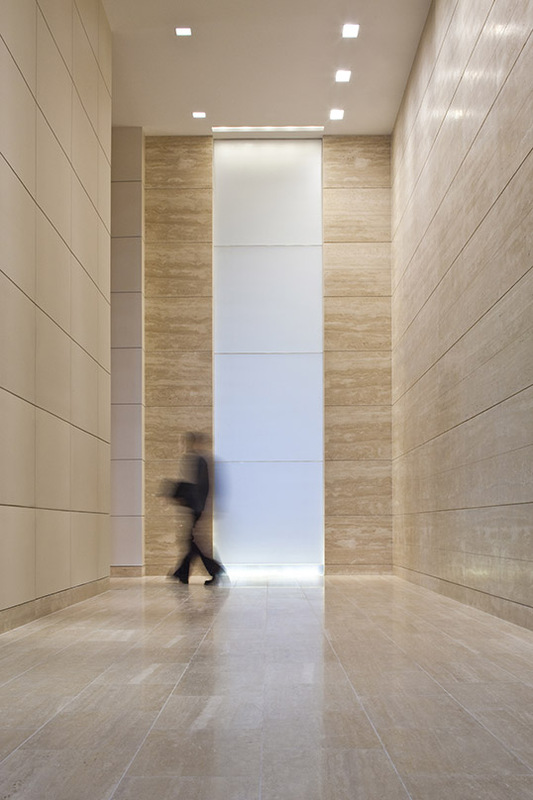 The tower entrances of highly articulated stone, metal, and glass convey their durability while acknowledging the building’s distinguished neighbor, the Schermerhorn Symphony Center. 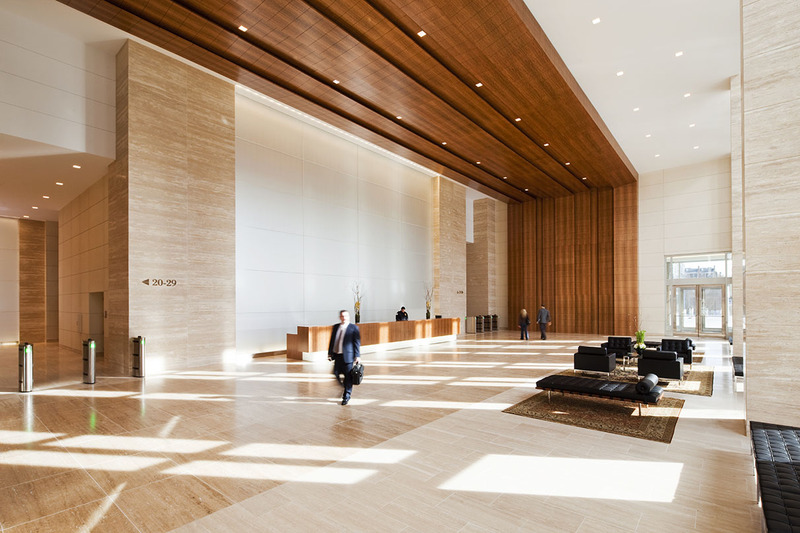 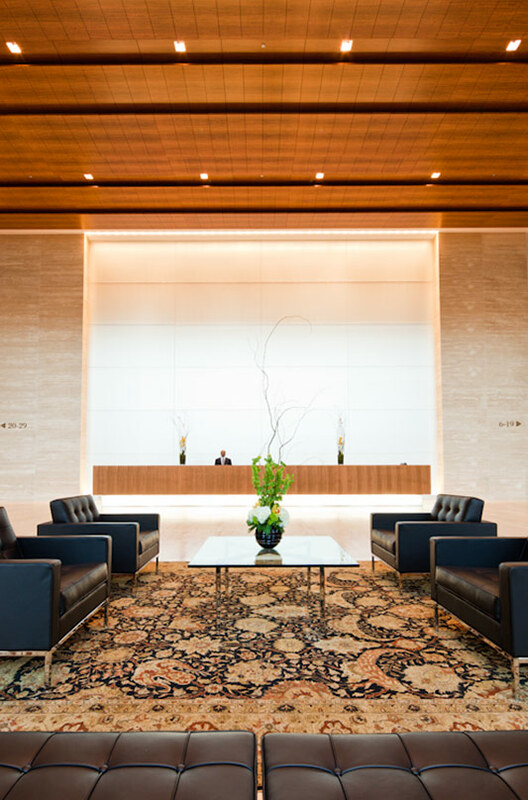 At twenty-six stories, with the timeless design of classic skyscrapers, the building respects the neighborhood’s intimate scale while offering twenty-three floors of office space to large firms, atop a six-story podium comprising retail, restaurants and a ten-level parking garage. 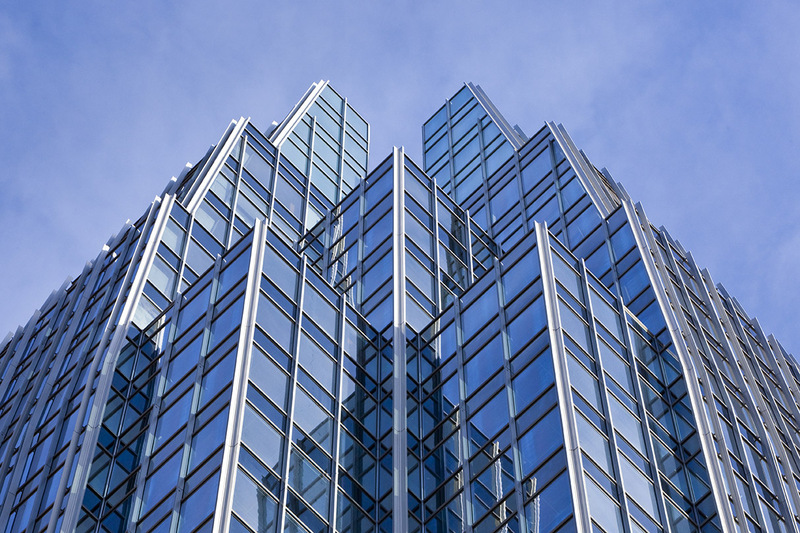 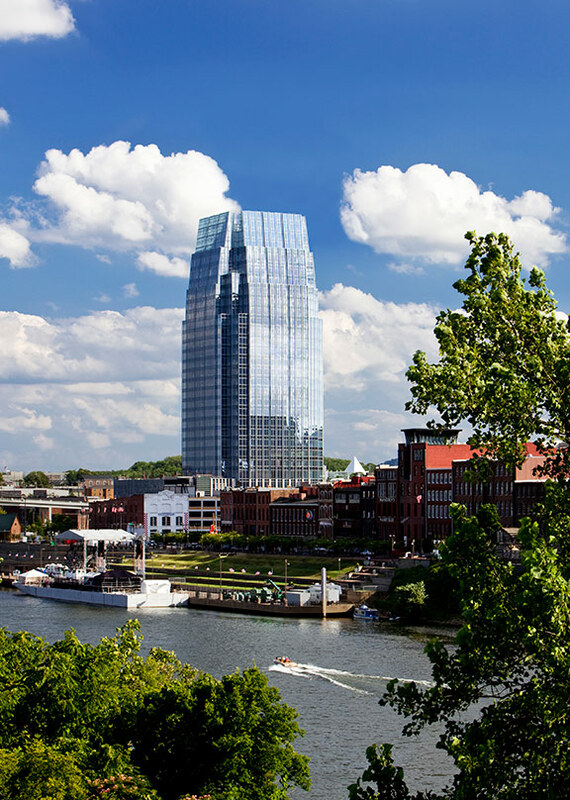 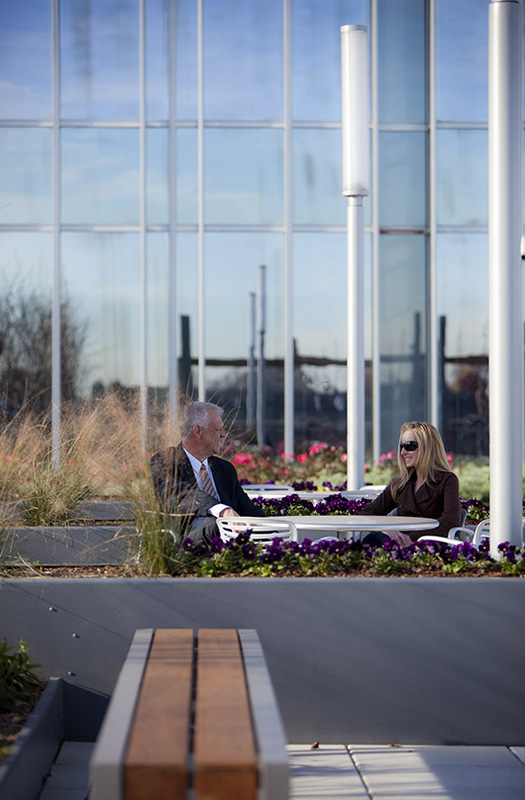 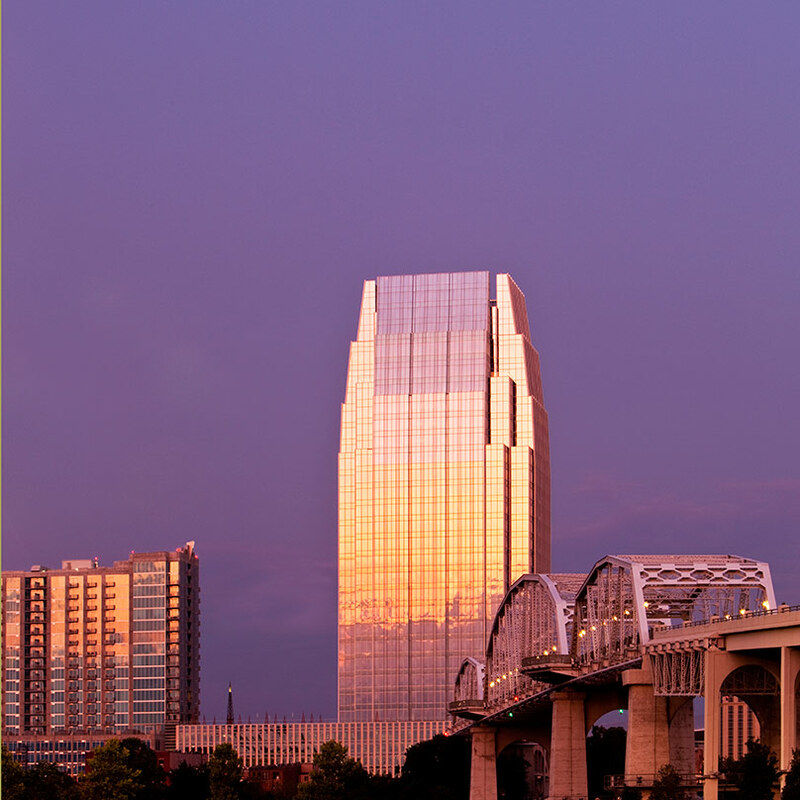 As the first LEED-CS Gold-certified building in the State of Tennessee, the Pinnacle incorporates numerous sustainable design features such as low-E glass and a green roof landscaped with native plants to absorb heat and rain water and to provide a pleasant retreat for tower occupants.